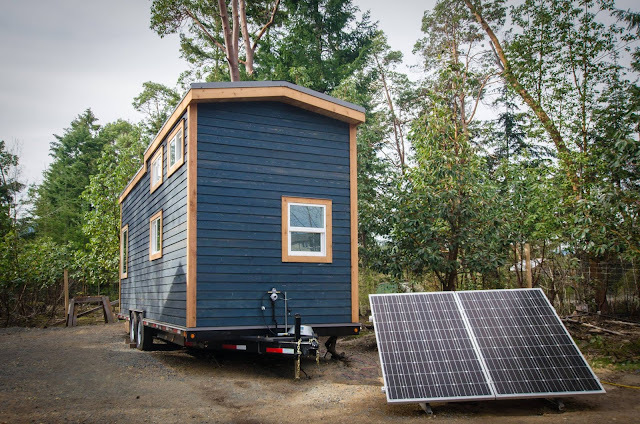 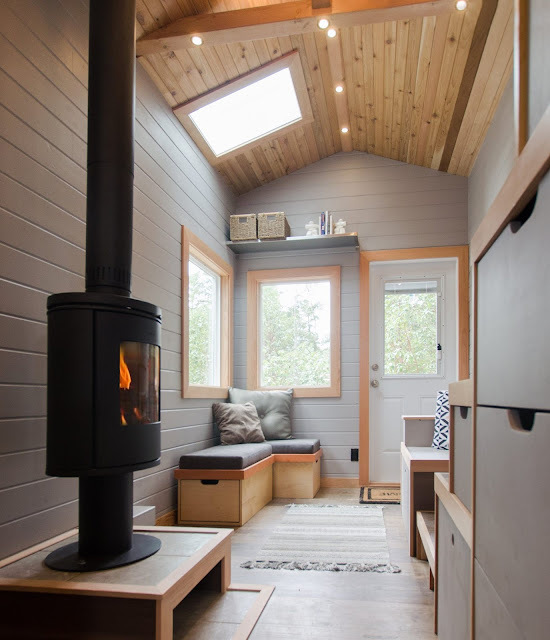 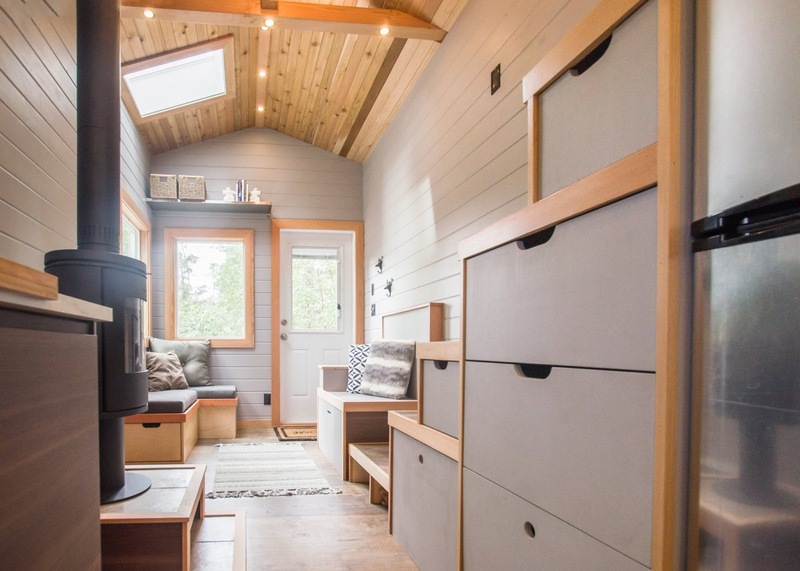 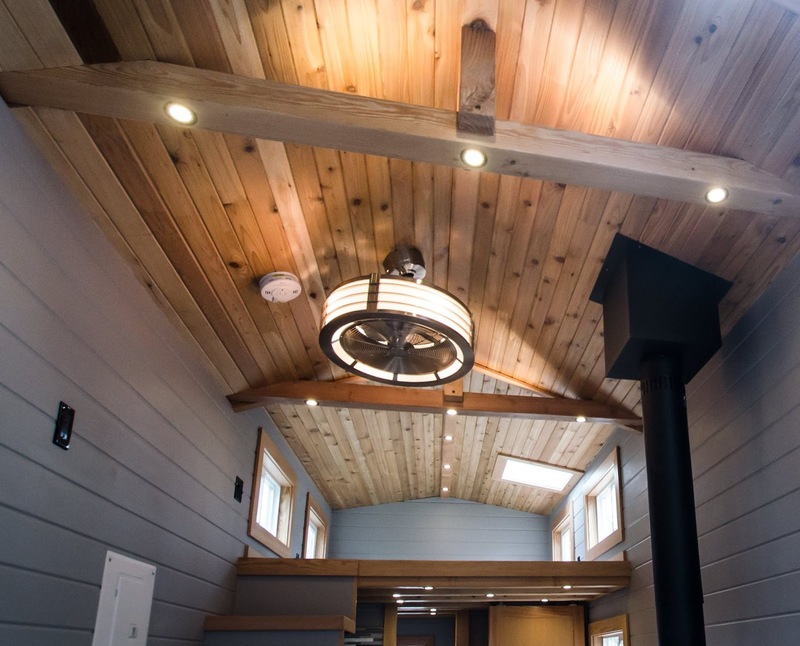 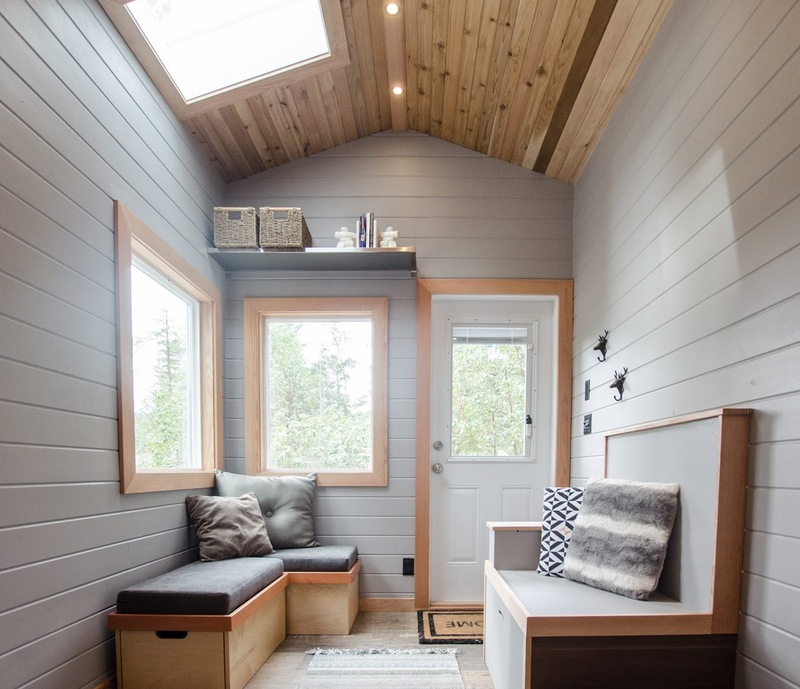 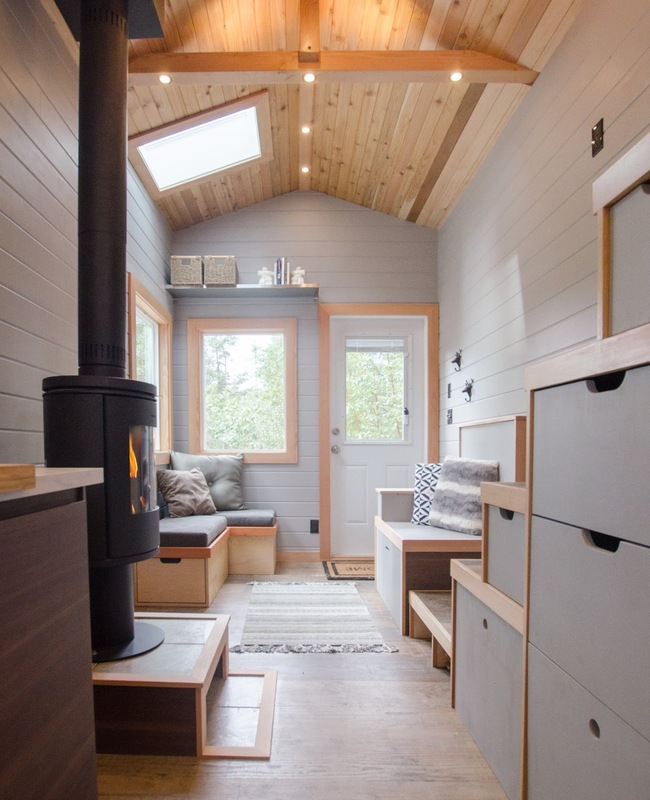 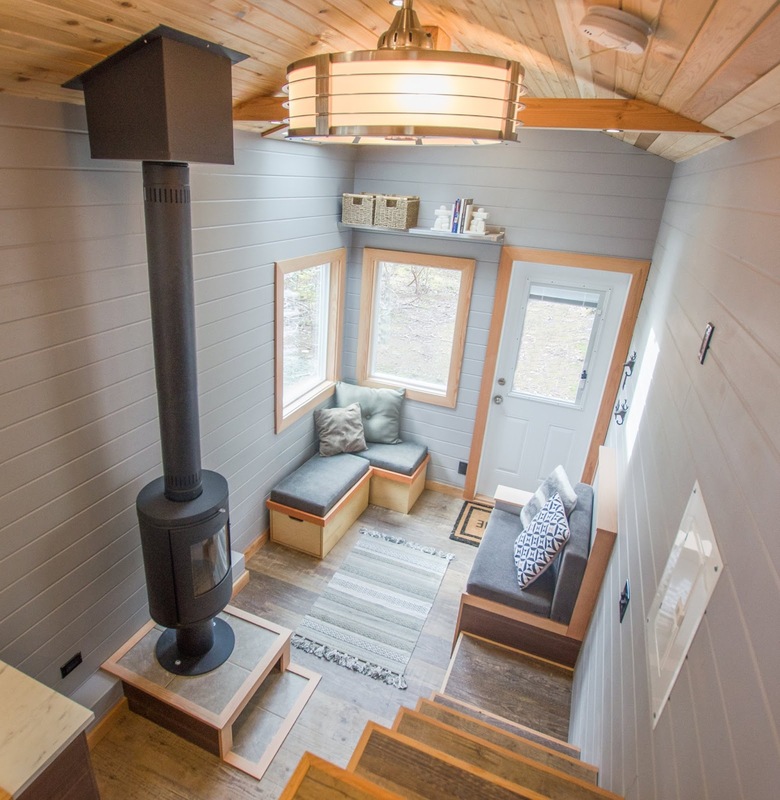 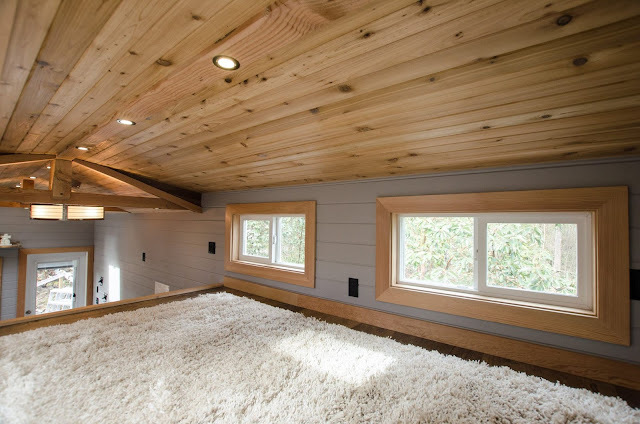 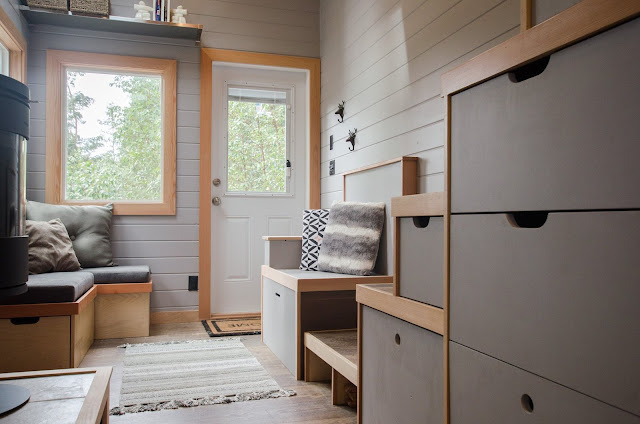 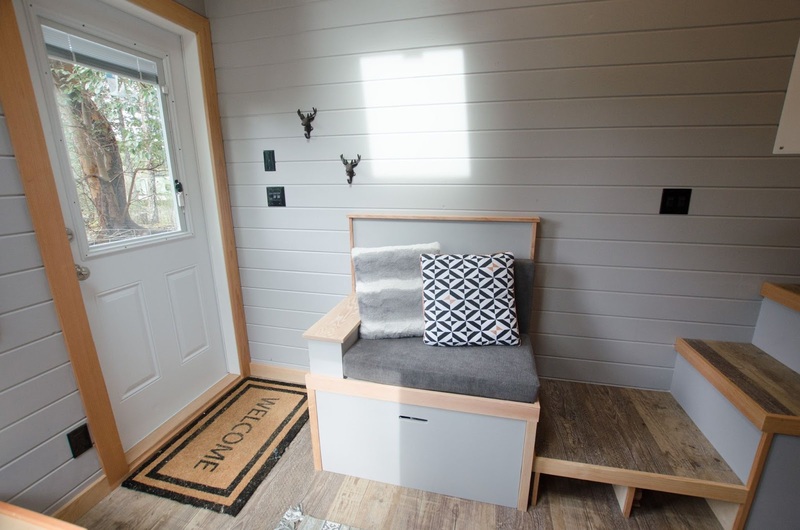 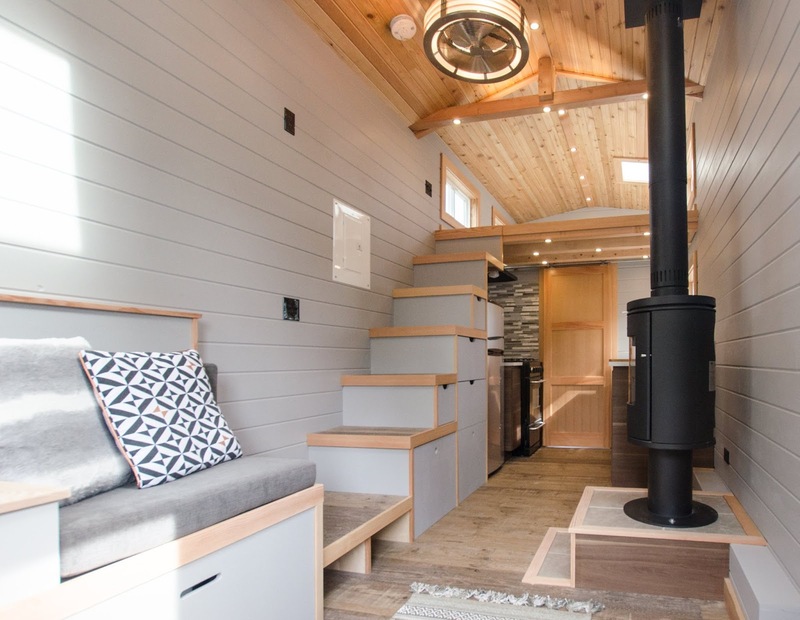 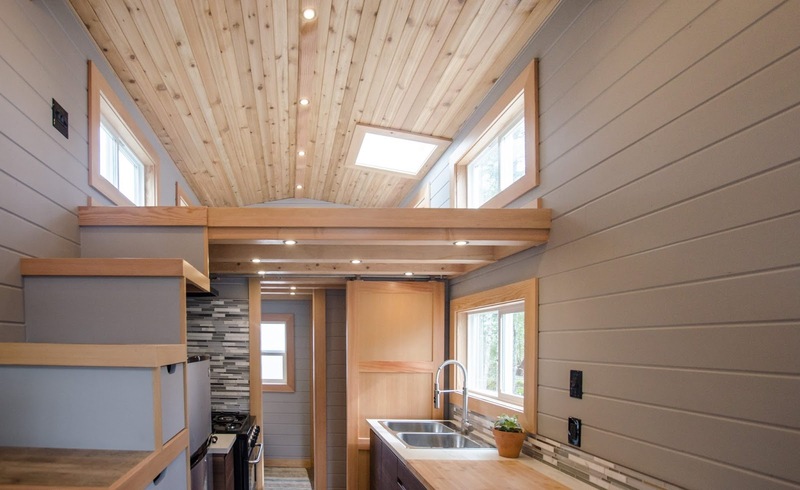 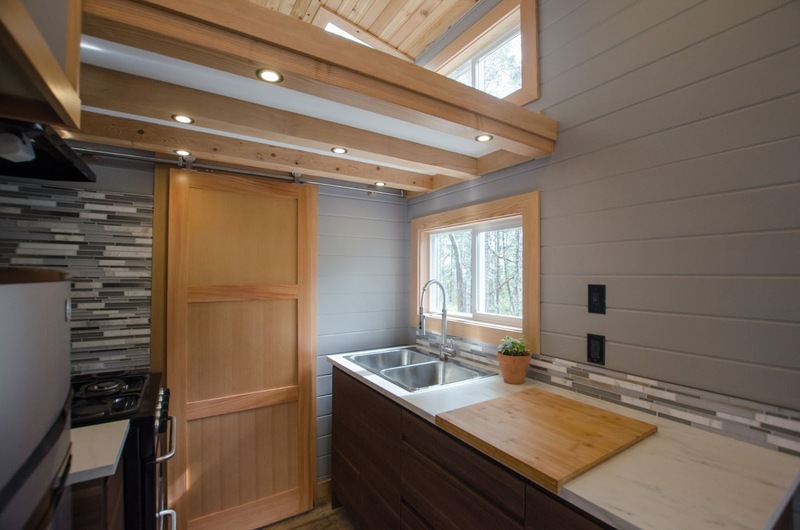 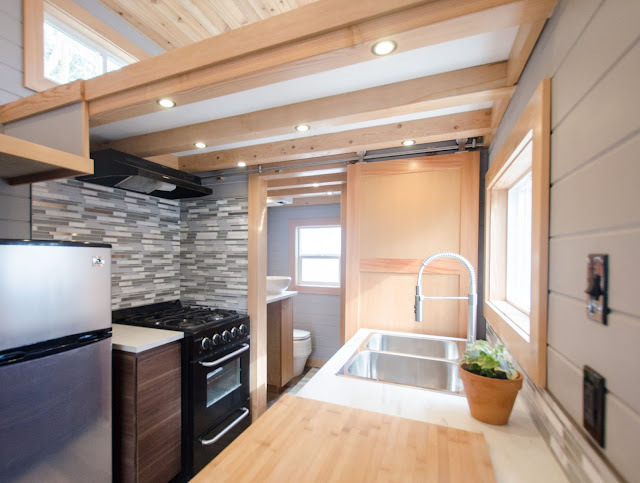 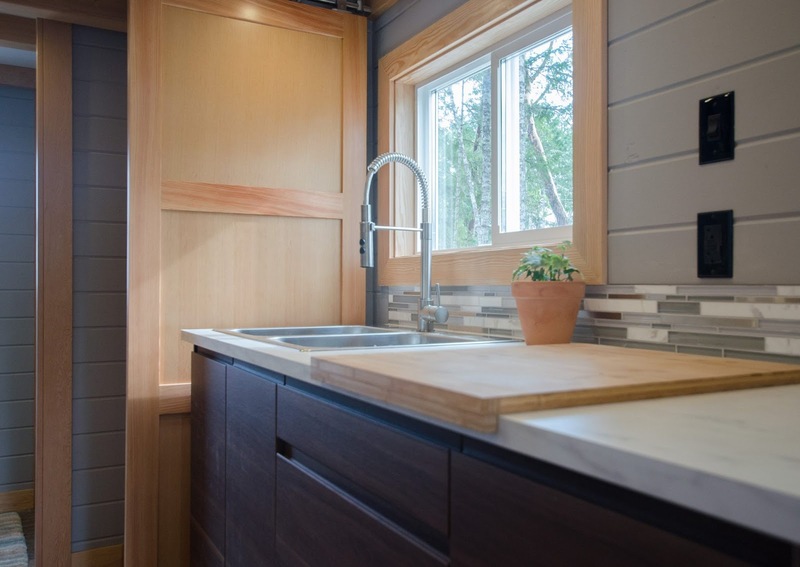 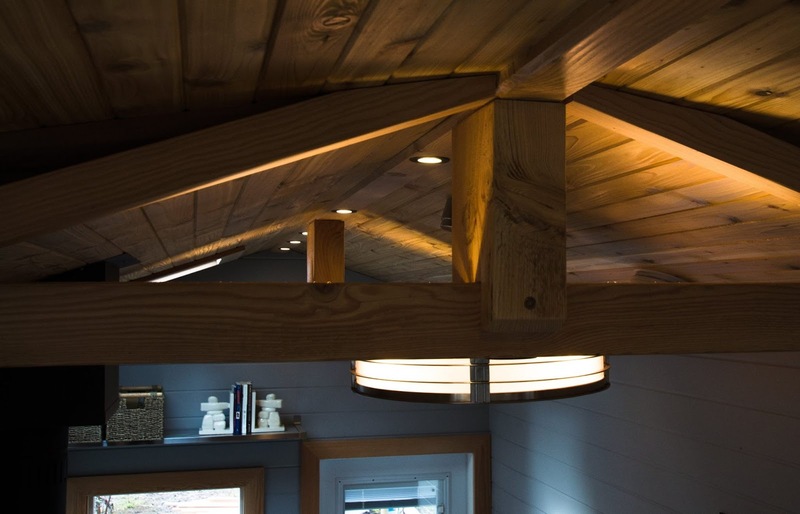 New from Rewild Tiny Homes is this modern and rustic tiny house, named the "Blue Heron". 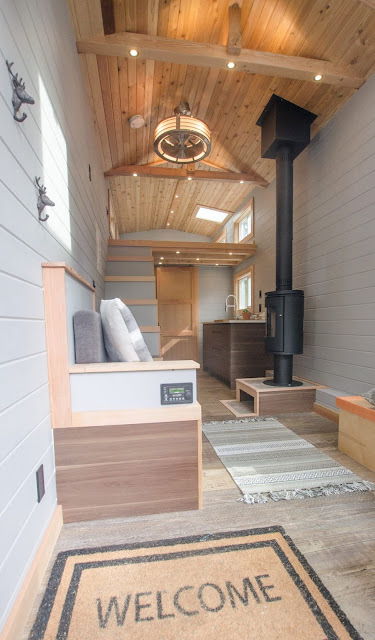 The home is built onto a custom 24' trailer with 250 sq ft of space inside. 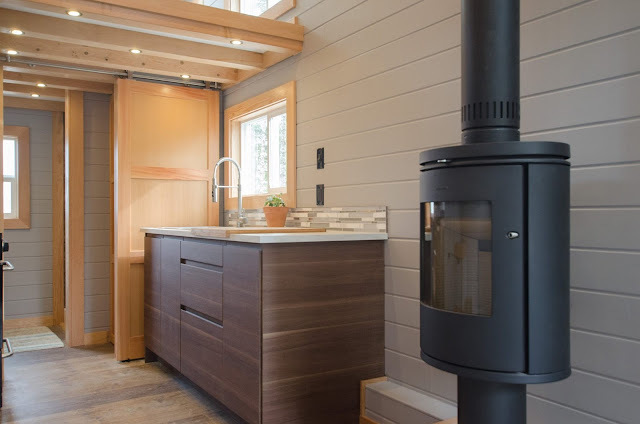 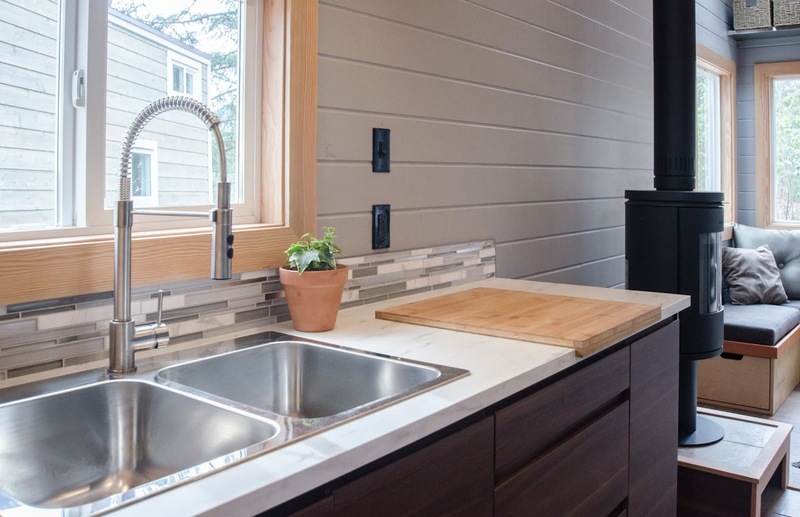 The kitchen features a Morso wood stove, a stainless steel fridge, a unique propane range, and soft close cupboards and drawers. 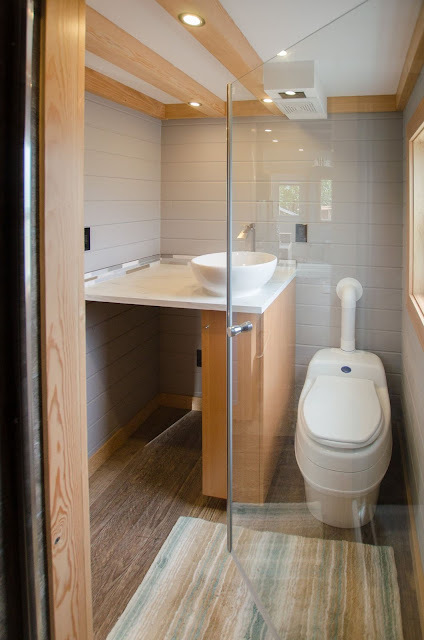 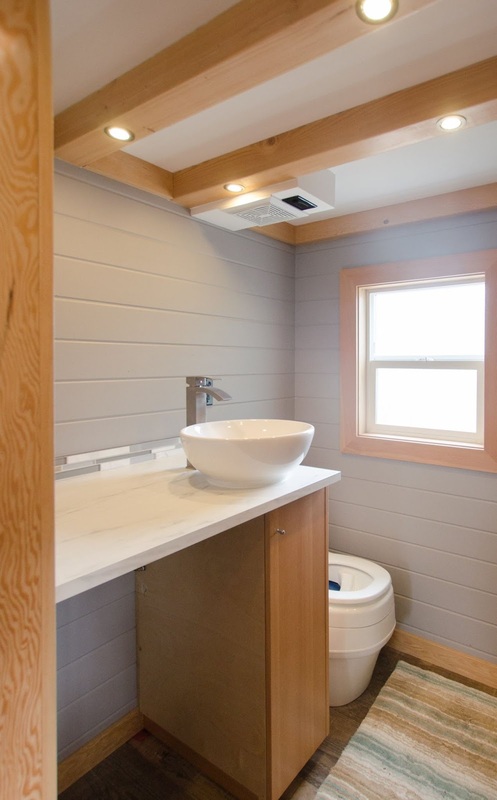 In the bathroom is a glass surround shower, a custom closet, and a composting toilet. The Blue Heron's bedroom is located in the loft and is accessible by custom stairs that also double as storage! 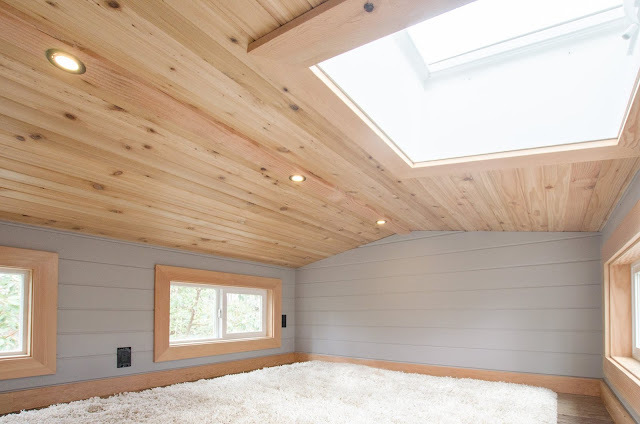 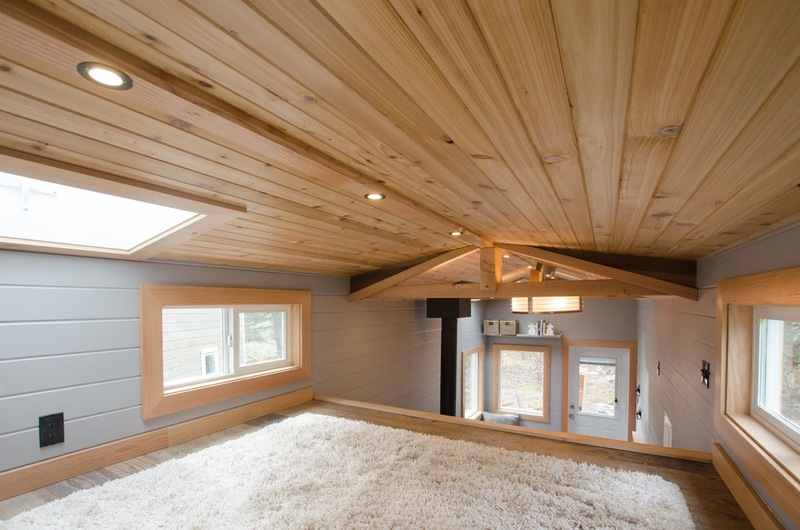 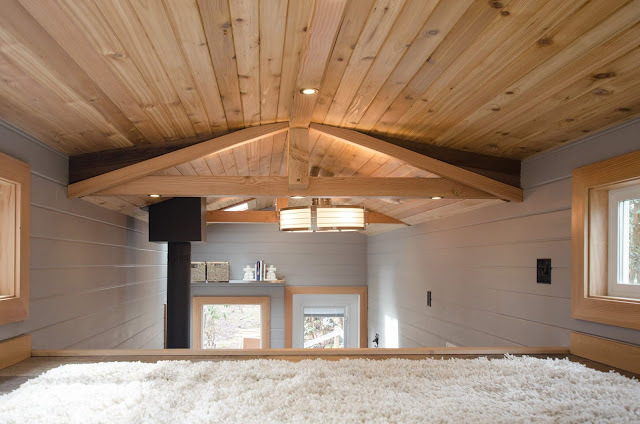 From there, you have a great view of the home's fir beamwork and cedar ceilings. The home is also off-grid ready with a full solar panel and a battery system. 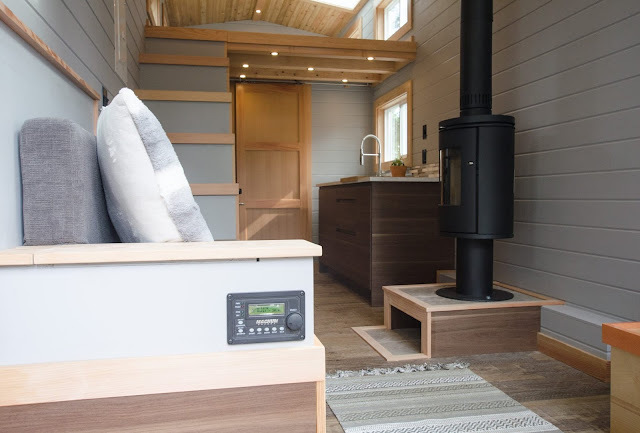 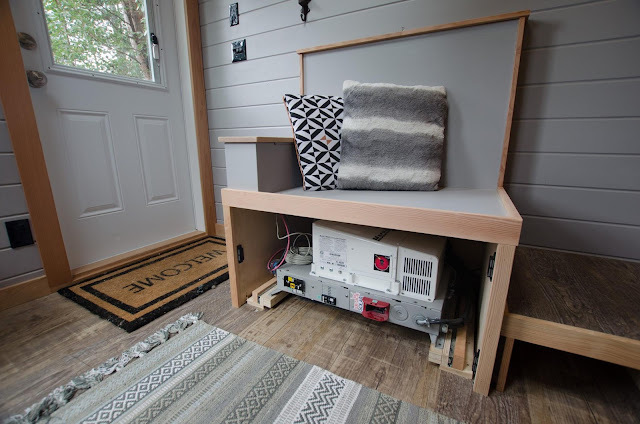 Additional features include a hookup for a washer/dryer, an on-demand water heater, and an external propane BBQ tether. 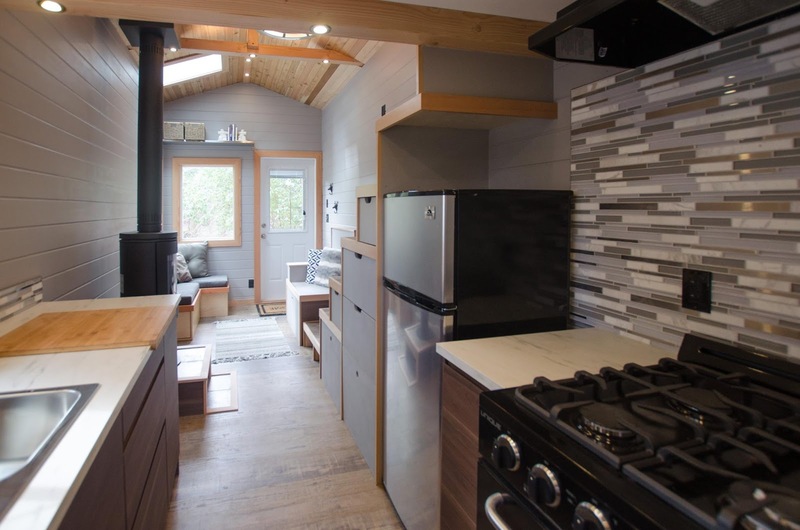 The Blue Heron is currently available sale here in Nanaimo, British Columbia, for $72,500.